When user navigates app to turn on mobile data, a timer is set to provide an an alert one hour in the future. Shift very high frequency and very low frequency sounds into the range where they are more easily heard. Creates a spectral time-history of sounds from 10Hz to 20kHz. Simple sine-wave generator that produces any audio frequency sounds between 10Hz and 22kHz. Overlays a floating picture-in-picture window showing the camera view while working in other apps. 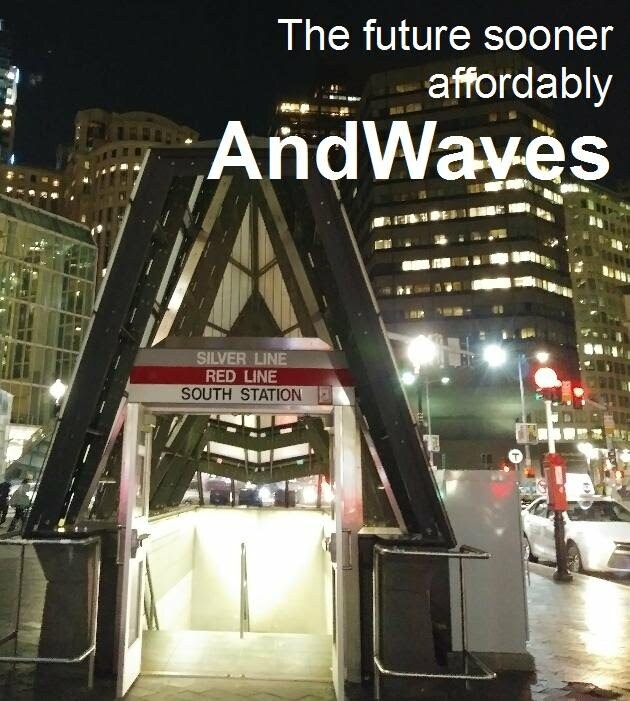 AndWaves has developed Android apps marketed on Google Play. AndWaves and implemented a space-time adaptive processing algorithm for pulling weak signals out of noisy data. AndWaves, LLC is a technology startup company founded in 2010. AndWaves is focused upon low cost systems that extract and utilize information from the data of inexpensive sensors. Subpages (5): About Capabilities Contact Quote Why AndWaves?